A legend in his home country of Japan, Liger is an innovator of the high-flying, hard-hitting style that defined cruiserweight wrestling. A true aerial artist, he is not only credited with the invention of the Shooting Star Press, but is also a dangerous striker, known for his devastating shotei palm strikes. He brought that style to America in the early 1990s with WCW, where he captured their Light Heavyweight Championship from Brian Pillman on Christmas 1991. Liger and Pillman went on to have a classic battle at SuperBrawl II that is regarded as one of the best cruiserweight matches ever. Liger returned to Japan for several years before coming back to WCW for the debut episode of Monday Nitro in 1995, again squaring off with Pillman in a thrilling affair. 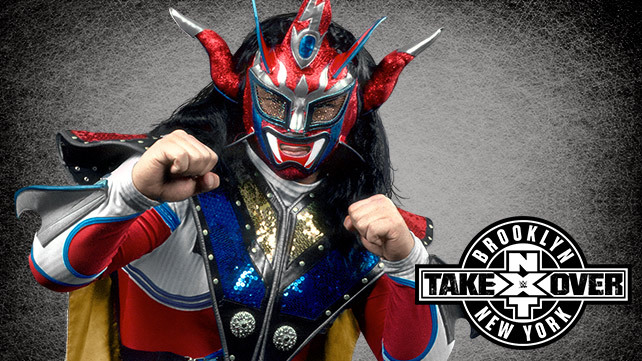 A decorated champion in Japan, Mexico and the United States, Jushin “Thunder” Liger will appear in WWE for the first time ever at Brooklyn’s Barclays Center on Saturday, Aug. 22.